Hitachi Heat Pumps offer exceptional performance, capable of providing heating & hot water for most properties in the UK, both domestic and commercial. *On receipt of the commissioning certificate prior to the 30th December 2015. Drill sets will be dispatched in January 2016. We have launched our new range of smart underfloor heating controls, The SOLFEX neoStat, which has been designed as a modern replacement to the standard mains powered thermostat. It gives the ability to create a network with local and remote access, meaning you can control your heating from anywhere using your smartphone or tablet. The neoStat series features an elegant design with flush wall mounting, modern soft touch buttons and an easy to use on screen menu system with a blue backlit display. The neo network provides a multi zone control for up to 32 rooms. The neoHub coordinates information between each neoStat on the network. Each neoStat has several programmable modes to suit every need including 5/2 Day, 7 Day and 24 Hour programming with 5min intervals. The neoHub has been designed with simplicity in mind, simply plug it into your router and let it do the rest. The neoHub will connect to our cloud servers, and eliminate complex tasks such as port forwarding. The Temperature hold mode will allow you to set a temperature for a specific duration, after which the system will go back into its normal schedule. The energy saving Optimum Start up learns when you normally get home to ensure the house is warm when you return. For a limited time only, SOLFEX energy systems is giving away a free LG Magna Smartphone when you purchase a Pallet of LG’s award winning MonoX photovoltaic modules. The LG Magna is a high end smartphone featuring a 5” HD display and speedy 1.3GHz Quad Core Processor and LG’s signature gently curved design. Powered by Android 5.0 Lollipop, this fully featured phone has everything needed for both work and play. LG provides rigorous quality testing to solar modules to assure customers of the stated power outputs, with a positive nominal tolerance starting at 0%. Modules are tested at various stages of the production by Electroluminescence inspection which detects cracks unseen by the naked eye. LG modules are carefully designed to help installers benefit from quick and easy installations throughout carrying, grounding, and connecting stages. 10 year product warranty with a 25 year linear performance warranty. 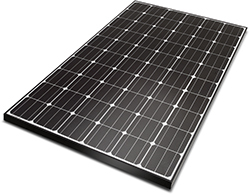 *Order one pallet of LG photovoltaic modules and get one LG magna smartphone for free. Offer vaild from August through November 2015. One claim per installing company only. To celebrate the launch of the new, all-in-one SAMSUNG SDI Energy Storage System, SOLFEX energy systems is pleased to announce that it will be hosting a series of training and information events to help answer your questions and bring you up to speed with this increasingly sought after technology. Fully supported by SAMSUNG SDI, the events will feature demonstrations from Samsung’s technicians as well as a chance to discuss your own requirements with the SOLFEX energy systems technical team. This FREE event is a valuable opportunity to learn everything you need to enter the energy storage market, and we hope to see you there. Attendees of the event will be awarded with a certificate of attendance and be welcomed as an official SOLFEX energy systems / Samsung SDI Battery Storage Partner. Samsung have been producing air source heat pumps for many years, their 5th generation is now being launched in the UK. The range comprises both Monobloc and split type heat pumps. The Samsung Monobloc range are ultra-compact units, the new 5kW is the smallest in class at just 880mm(W) x 798mm(H) x 310mm(D). The Monobloc range comprises 5, 9, 12, 14 and 16kW models, and 4, 6, 9, 12, 14 and 16kW in the split range. The new future-proofed Gen 5 range carries the highest possible ERP rating (A+++), making them 2019 compliant today. 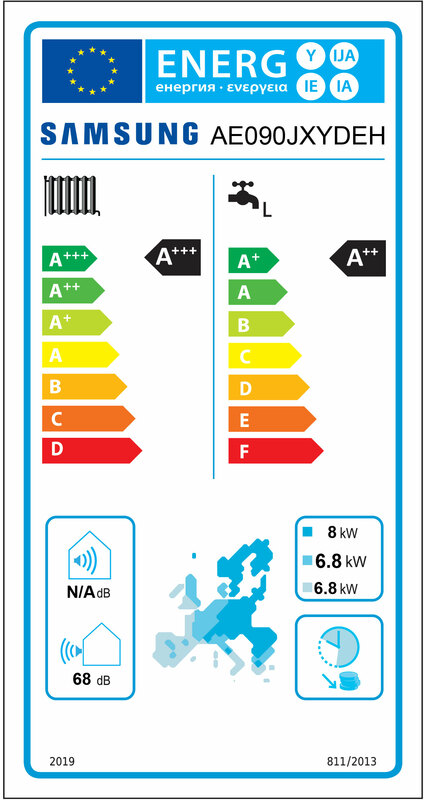 The range now offers seasonal coefficient of performance well above the MCS standard figure with an impressive SCOP of 4.73 on the 14kW split unit. With an all internals the unit is quieter by 2dB than its predecessor making it one of the quietest heat pumps on the market. Utilising off the shelf heating controls the operation of the Samsung range could not be easier, it’s literally as simple to use as a boiler. The new Samsung EHS units all incorporate DC inverter control allowing modulation down to 10%, Weather compensation, concrete curing function, legionella protection on a daily and weekly basis, hybrid operation and full integration with Immersun systems. A Full remote monitoring package will be available with an optional Wi-Fi control package. From September, Samsung is also offering an extended warranty option, with all spare parts in stock and can be delivered next day. For More Information on the next generation Samsung heat pumps, contact our friendly technical sales team at heatpumpsales@solfex.co.uk or call 01772 312 847. We've recently added Huawei's SUN2000 string inverters to our portfolio. Huawei offers a full range of reliable and efficient three phase inverters to suit a range of applications, with 8kw all the way up to 33kw units available. These versatile inverters support up to 3 MPPT's and up to 6 strings for intelligent monitoring and fault detection. RS 485 and USB ports allow for connectivity and data management either locally or via Huawei's remote monitoring software. The SUN2000 units have a maximum efficiency of 98.6% with with the 28KTL model boasting a higher 98.7% thanks to reduced AC cable loss through its higher output voltage of 480V. For more information, visit our Huawei Inverters section.